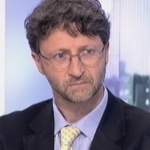 Last week the French newspaper Le Monde published the English version of an exclusive interview with Olivier Rech, former economist of the International Energy Agency (IEA). Between 2006 and 2009 he was responsible for the Agency's petroleum production models, that make the basis of the reference publication World Energy Outlook (WEO), released every year in November. This document outlines the energy scenarios on which every government of the OECD builds up their energy policies. Government agencies, research institutes and private companies also rely by and large on the IEA's publication. Remarkably, the words of Rech today lay out a scenario entirely different from those the IEA has been publishing. Future Oil production for the EIA has been a simple mater of investment, as long as the money shows up it can grow for ever, or at least up to the end of its outlooks. To achieve this the IEA's scenarios are more and more reliant on Oil sources with such names as “yet-to-be-developed” and “yet-to-be-found”, something that for a careful reader borders the ridicule. With someone deeply involved in the IEA modelling processes up to so recently coming out in this fashion what can one think? Are the models really producing the results presented in the yearly WEO, in which case mismatching the assessment of their creators? Or are the results of the models being massaged to present a rosy growth forever picture? In whatever case it is obvious the IEA is not fulfilling its purpose of informing governments on the correct availability of energy, especially Oil. OECD leaders are lead to believe by the IEA that transitioning their economies to a new, non fossil fuel reliant paradigm, is a matter of choice. This may only true for a narrow number of nations, that by their wide area still have fossil resources available to explore (though at what price? ); they are the US, Canada and Australia. Elsewhere the process of Oil usage reduction is already under way. It may come disguised as economic recession, political crisis or natural disasters, but the reality is that these short-term problems are part of a secular, much more powerful dynamics that is the end of the easy access by the OECD to fossil resources. His forecasts for future petroleum production are now much more pessimistic than those published by the IEA. He expects stronger tensions as of 2013, and an inevitable overall decline of oil production "somewhere between 2015 and 2020", in the following exclusive interview.